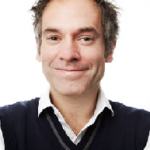 Now 45 years old and having been a comedian since his mid twenties, Dominic Frisby got interested in Economics and Finance in 2005 prior to the Financial Crisis. He subsequently became a devout Gold Bug and follower of Austrian Economics and Sound Money when he decided he needed to manage his money himself. Dominic feels strongly that many of our basic daily terminologies such as inflation, capitalism and socialism have become corrupted in their meaning and usage. The same is true for “money”. “All of this has distorted people’s behavior in an almost corrupt way” which he describes as only a comedian can. 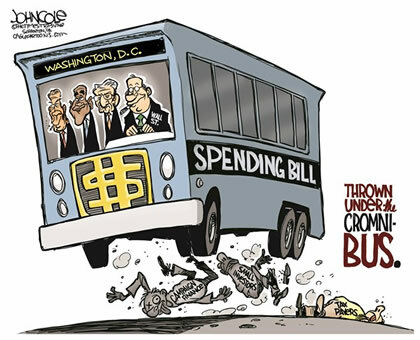 12/18/2014 - David Stockman – The CROMNIBUS “Abomination”! We interrupted David Stockman in Aspen where he was just finishing an article concerning the Cromnibus Bill which the Senate having passed was forwarding to the White House. You can easily sense the annoyance in David’s tone about yet another “abomination” out of Washington of a $1.1T, 1600 page Bill and no one given the time to even read it. “Pork and earmarks” were blatantly evident and tacked all over it. As a former Washington insider he is very clear on what is wrong in Washington. It seemed very appropriate to ask David on this day to talk with us about Financial Repression! “Honest interest rates and financial asset prices come about from price discovery in the free market owing to the interplay of supply and demand for savings, borrowing and other forms of investment in the marketplace.The opposite of that is the regime we have today which I call the regime of financial repression. Banking licenses from the state which therefore shield them from the claims they would be exposed to otherwise. The resulting level of malinvestment and market distortions will soon come to an end when we again have realistic price discovery. He believes it is “only a matter of time before we have another more cataclysmic financial meltdown” due to the sheer weight of speculation in this central bank, bubble driven era which is now occurring. What are the ramifications now? So why was this referendum so important? Because Switzerland has, for hundreds of years, been a bastion of sound monetary policy and low inflation. 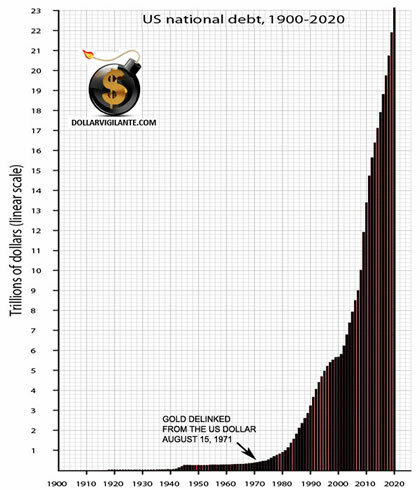 But this has gradually changed in the last 100 years since the creation of the Fed in the US and especially during the past 15 years when the Swiss government quietly removed the 40% gold backing from the revised Federal Constitution which was adopted by popular vote in 1999. No paper currency has ever survived throughout history in its original form. And the Swiss Franc from having been a strong currency is now in the process of being slowly destroyed by the recent policies of the Swiss National Bank (SNB). Since 2008 the SNB’s balance sheet has expanded 5 times from CHF 100 Billion to CHF 500 Billion. 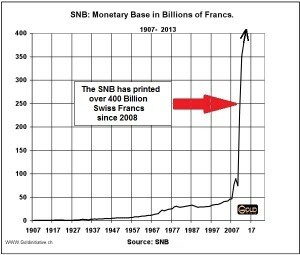 So Switzerland has printed around 400 Billion Swiss Francs in the last 6 years in order to hold its currency down against the Euro and other currencies. CHF 400 Billion is around 2/3 of GDP. 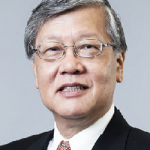 ANDREW SHENG , Distinguished Fellow of the Fung Global Institute and a member of the UNEP Advisory Council on Sustainable Finance, is a former chairman of the Hong Kong Securities and Futures Commission, and is currently an adjunct professor at Tsinghua University in Beijing. His latest book is From Asian to Global Financial Crisis. Sheng feels strongly that the inevitable outcome of broad based Financial Repression is and has become global inequality. “Quantitative Easing and the ‘leveraged play’ around the world is worsening inequality“. Sheng also believes the free market is presently not allowed to operate. Markets are highly distorted from trillions of dollars of ‘pumping’. Andrew Sheng believes we are headed for another crisis. Common sense could help fix the problems but he feels common sense appears not to be so common, especially when politics in involved. 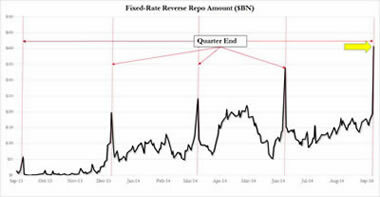 This interview touches a broad range of the fallout from Financial Repression; from how the US Fed is now locked into low interest rates, the ‘hot money’ US Dollar Carry Trade and why lenders are more concerned about balance sheet repair than investment. 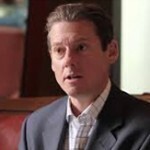 SIMON BLACK , is the publisher of SovereignMan.com and “Sovereign Man: Confidential” – An International Investment Intelligence Service. A graduate of West Point he served tours of duty in the middle east as an intelligence officer before beginning SovereignMan.com. He has visited over 116 countries and visits 40-50 countries annually looking for investment solutions to suit the realities of today’s increasing government regulations and restrictions. It is a very clever, cunning deceitful form of theft. “Presently in many cases you have to pay a bankrupt government for the privilege of loaning them money! 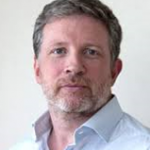 Simon believes that the mentality of many governments has shifted from an ‘abundance mentality’ to a negative ‘scarcity mentality’ that has left them chasing innocent, harmless people around the world (ie witness FATCA and the avalanche of renouncing citizenship) versus trying to attract productive people, being more competitive and “making the pie bigger”. This is no longer the thinking that the US was founded on. The problem we’re facing is the fragility and danger that comes from massive centralization of economic and political power. The solution then, is to decentralize. 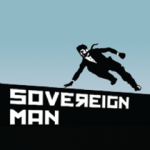 This strategy of diversifying aspects of your life across the globe is calledInternationalization, and that’s what Sovereign Man’s Six Pillars of Self Reliance are about. “Financial Repression is Financial Authoritarianism. 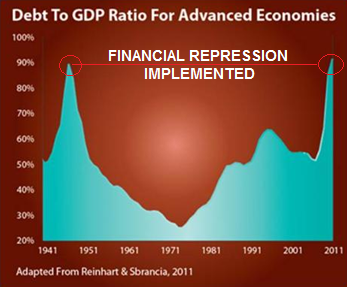 Financial Repression is needed to help governments finance their debt, where the impedence comes from the level of government spending. Since almost all countries use a central banking model and fiat currencies this allows Financial Repression to exist. It gives the government the tools to implement Financial Repression which it wouldn’t otherwise have in a SOUND MONEY System. One of the most egregious examples of Financial Repression in the international arena is FATCA and the soon to be unleashed GATCA. The Foreign Account Tax Compliance Act (FATCA) effectively begins the process of ring fencing investors options through nothing more than a stealth form of capital controls. Draconian penalties if even an honest mistake is made. Therefore international banks don’t want American accounts which is making it horrendously difficult for Americans to now live and operate abroad. FATCA has laid the foundation for GATCA in 2018 which is part of the end game for global taxation. Like Financial Repression FATCA (and GATCA) is devious and not upfront with the American people. FATCA is a blatant example of “government for the government by the government” versus a constitution based upon “a government for the people by the people”! Learn more about FATCA / GATCA and more as Casey Research’s “International Man” talks what Financial Repression means around the world. Is there a “Back Door” method for the government to pay down the federal debt using private savings? Daniel Amerman says emphatically, YES! It is called FINANCIAL REPRESSION, though as a former banker Amerman likes to think of it in more accounting terms like liabilities and assets. In practice there are four primary methods which a nation can use to pay down excessive debts incurred to support spendthrift habits and political obligations. The government methodically uses regulations over a period of many years to force a negative rate of return onto investors (in inflation adjusted terms) so that the real wealth of savers shrinks by an average of 3-4% per year. Discouragement of Precious Metals investment. If you real want to understand FINANCIAL REPRESSION, this is where you start. “You often don’t have enough inflation in the world when you have too much debt”. This is why the US, the EU and Japan are trying frantically get inflation up, despite it being bad for the average citizen or saver. Axel Merk believes that if in 10 years we were to get back to historic bond level,s then there would be an addition $1 trillion in government interest rates. The fed is simply not going to allow that and therefore interest rates are realistically not going up. Even a Fed Funds Rate of 1.75 next year would likely still mean we would have negative real interest rates. When you have too much debt political stability declines. In parts of the world where food and energy are bigger part of their disposable income you can expect social unrest as these inflation policies take on greater roles. It is a fact that austerity policies fail at the polls as we have seen in Europe. In the US we are electing increasingly more populist politicians which means entitlement reforms have a slim chance of happening. Therefore “Kicking-the-Can-Down-the-Road” and reliance on the central bank to keep rates low. Regulations in general are about barriers to entry. Therefore it limits risk taking which inevitably leads to less economic growth. By simply keeping interest rates low it doesn’t put sufficient pressures on the system for structural reforms. As low interest rate policies continue to fail the political bias will be to “double down” which means the problems get even worse. Eventually the structural changes required becomes too great to be politically possible without hiding behind a major crisis. The Swiss are fiercely independent and don’t like the dependencies which the Euro peg to the Swiss Franc are creating. They don’t like the debt an unelected central bank is piling onto the nation. What is important is that the referendum is trying to force more discipline into monetary policy. Cash is no longer safe anymore! The purchasing power of cash is at risk. Once investors realize this the investment world is open! They then need to invest based on the risk spectrum. BONDS – “I wouldn’t touch with a ten foot pole in the current environment. 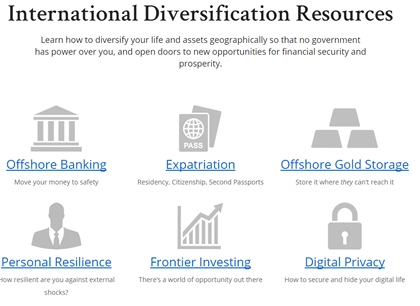 DIVERSIFICATION suggests adding Currencies and Precious Metals. Developed economies’ currencies “are turning into toilet paper”. “If you are looking for a one way street, perhaps the best speculation in the world today would to be short Japanese government bonds denominated in Yen”. The demographics in Japan are the worst in the world. Its really a horrible conglomeration of countries which should be simply a free trade area with the government in Brussels making it impossible. It is totally dysfunctional and will breakup. Hold gold and silver. Some should be in coins in your possession. Doug sees the world in the “eye of a gigantic financial hurricane”. It entered the hurricane in 2007-2008 and will likely see the next stage in 2015. Here are just some of Doug’s views and statements from this fascinating and exclusive interview with Gordon T Long. “America has turned into a police state”. It is the most dangerous entity in the world today and has become hated globally because of its militarism. US Investors must urgently diversify their assets abroad while it is still possible. More restrictive regulatory policies lie ahead. Today the US is more taxed and regulated than ever before, which limits its abilities to solve its problems. “No one knows what the prices are of anything any longer! Capitalism has been annulled, cancelled and abrogated by government and central banks (which are one and same thing)”. Because of this threat, more QE, more financial repression and further market intrusions lie ahead. An Explicit Policy of State Sanctioned Inflationism. Approach #1 and #2 or no longer realistically viable, leaving governments with only option #3. The last options has historically always been the option governments of fiat based systems have resorted to throughout the ages because of a lack of “political will and discipline”. Tim believes Japan is presently the ‘dress rehearsal’ and the rest of the world will be the main event. Elimination of warning signals such as gold appreciation. 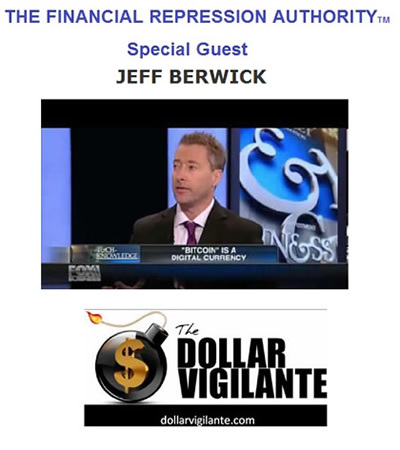 Wealth can no longer be stored in paper currency or “paper” claims in a Fiat Currency System. Grant suggests that the dictionary defines repression as essentially about trying to repress true feelings. Financial Repression is the government’s attempt to steer behavior away from true investments and into those that assist the government to pay down its debts. “The result is essentially outright theft by borrowers from savers. The pool of savings on earth is the last really untapped pool of capital that government has to go after”. 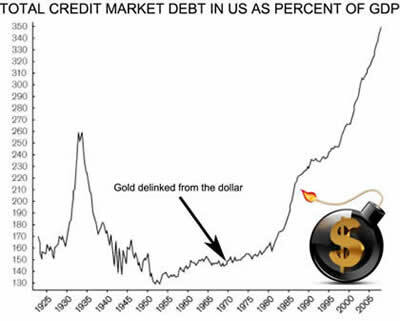 According to Grant the explosion in credit through removal from the Gold Standard, financial engineering and keeping interest rates low has left a differential between Credit Growth and GDP that has forced governments with no choice but to adopt Financial Repression policies. By debasing their currency and through inflation government create the most insidious type of wealth transfer that most people just don’t understand. 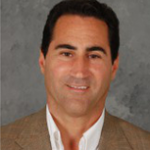 Special Guest: Nick Barisheff – President & CEP, Bullion Management Group Inc.
Nick Barisheff suggests that to protect yourself from government Financial Repression policies, a diversified portfolio with a strategic allocation of 20% in precious metals is presently merited. The Precious Metals allocation should be diversified in physical holdings between gold, silver and platinum. Nick argues that China is closer to 5000 tons of gold than the 1000-1700 currently reported by official sources. When this all becomes properly understood it will send shock waves through the system! Barisheff believes China is acquiring physical Gold in its Sovereign Wealth Fund which doesn’t have to report it to anyone. The last time they did the Chinese Central Bank Gold Reserves went from 800 to 1600 tonnes. They haven’t reported in five years. During this 5 years Nick argues the gold is coming from Leased Gold. There has been approximately 1500 tonnes per year in net leasing over the last 10 years. 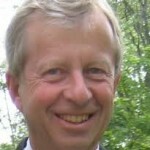 Mish Shedlock talks Financial Repression with Gordon T Long. Mish believes a currency crisis is coming which is most likely to start outside the US in likely Europe or Japan. People should be worried about the Fed’s Repo market and primary dealer delivery failures. This will likely be the cause of the next crash. Money Managers are playing musical chairs every quarter to keep this game going. People should be concerned about liquidity seizures which need to be closely monitored as money managers currently scramble for collateral. 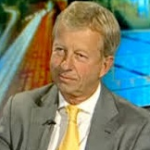 A former banker, Corporate Vice Chairman of a FTSE 100 corporation and founder of Matterhorn Asset Management AG, Egon von Greyez “strongly believes there will be massive wealth destruction in the next few years”. He has been worried about what is presently unfolding since the 1980’s and is very troubled about what he has witnessed and what he clearly saw was coming. “All this was inevitable. It is ridiculous for the central bankers to say they didn’t see this coming. Anyone with just a little bit of intelligence could have seen this coming (of course you can’t be a politician who never see things coming and central bankers are politicians)”. The answer is that “we need an awakening where people begin to realize what is going on and move beyond this really horrible system of statist, communists, central bankers, fiat currencies and go to a solid money (like precious metals and bitcoin) and allow the markets to make decisions”.